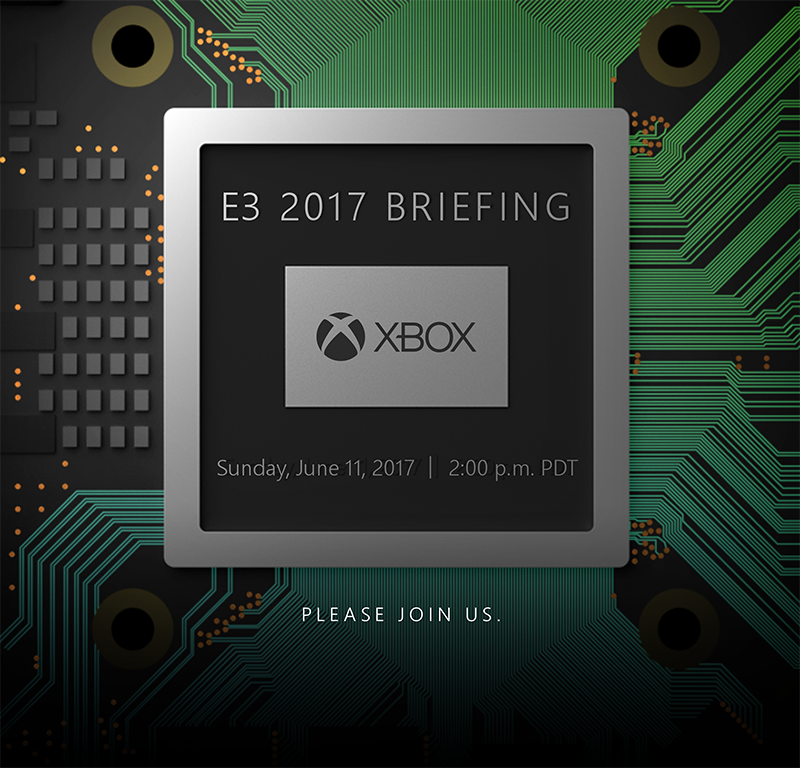 - Watch the Xbox E3 Briefing live on Mixer: The briefing will be aired on Sunday, June 11 at 2:00pm PDT. You can watch via the Mixer viewing app on Xbox One, via any web browser at mixer.com/Xbox, or by using the Mixer app on iOS or Android. - Sign in to your Mixer account: You must be logged into your Mixer account to get your MixPot. 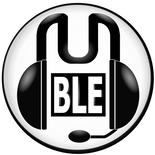 - Link your Mixer account to your Microsoft/Xbox Live account: To learn how to link your Mixer account to your Microsoft/Xbox Live account, see Link a Mixer account to your Microsoft account. Don’t worry if your account isn’t linked during the E3 Briefing. Just be sure it’s linked by Friday, June 16th, 11:59 PM PT. - That’s it! Keep an eye out during the briefing as we announce all the digital goodness that will be coming to you after the event. The best place to watch Xbox Daily: Live @ E3 is on the official Xbox Mixer channel (via the web, your PC, mobile device, or your console), as we’ll be doing giveaways there throughout the show. The show will also be streamed live on the Xbox Twitch Channel, YouTube, and Facebook Live. Julia Hardy will be joining our own Larry Hryb (Xbox Live’s Major Nelson) and Graeme Boyd (Xbox Live’s AceyBongos) as hosts of the show. 10pm – Box Shown, out November 7th and called Xbox One X. 10.05pm – Chat about Xbox One X and its technique improvements. Smallest Xbox ever. 10.10pm – Forza 7 video. Dan from Turn 10 talks about Porsche. 2 Pro’s play Forza on 2 different tracks with sun and rain. Out October 3rd in True 4K/60FPS. 10.20pm – 42 games to be shown with 22 console exclusives. 10.22pm – Metro Exodus in-engine gameplay. 10.25pm – Assassins Creed: Origins video & Gameplay. 10.37pm – Deep Rock: Galactic vid. Exclusive. 10.38pm – State of Decay 2 video. Exclusive. 10.42pm – The Darwin Project vid. Exclusive. Features Mixer interactivity. 10.45pm – Minecraft. Uniting Switch, Window & consoles. 10.49pm – Dragonball Fighter Z video. 10.51pm – Black Dessert. Launch exclusive. 10.53pm – The Last Night video. 10.5pm4 – The Artful Game vid. Launch exclusive. 10.55pm – Code Vein video. 10.57pm – Sea of Thieves video. 11.06pm – Tacoma, out August 2nd. Launch exclusive. 11.06pm – Super Lucky tale. Exclusive. Out Nov 7th. 11.09pm – Cuphead. Exclusive. Out Sep 29th. 11.10pm – Crackdown vid. Out November 7th. 11.15pm – Ashen video. Launch exclusive. 11.18pm – Life Is Strange 2 video. 11.19pm - Middle Earth: Shadow of War video. 11.26pm – Ori 2 video. 11.30pm – Xbox 1 Bc announced. Crimson Skies announced. Launches later this year. 30 3rd part titles getting Xbox One X enhanced plus 5 exclusives. 11.33pm – Xbox One X out Nov 7th for $499. 11.34pm – Anthem video – out 2018. Thread will be updated with the usual leaks, rumours etc that lead up to the big day. Last edited by Monkey Man on Mon Jun 12, 2017 12:29 am, edited 15 times in total. So that's what, 9pm GMT? That's absolutely ideal. EDIT - It's in the thread title. At 9am the journos and bloggers are just waking up so the move to 2pm gives them a chance to be in the spirit of things. Microsoft can also do what Sony does before their conferences and provide free food and drink. Now the new tech reveal is a dead cert, ut what I want to see is a few exclusive games to complement it that take advantage of it. Nice time, always hit and miss trying to get from work to watch on the Monday. They've already said no exclusive games. Venom wrote: Now the new tech reveal is a dead cert, ut what I want to see is a few exclusive games to complement it that take advantage of it. Er, they've already confirmed they won't be doing that, haven't they? I think he means Xbox one exclusives that will look lush on Scorpio. Very happy about the time, think I'll take Monday off and make a night of it! I suspect that, as with the PS4 Pro, at first the additional power won't really be utilised to any great extent but over time the extra polish will become more apparent in games. Ah yes, well that makes sense then. You're quite right, Microsoft needs exclusives this E3 and it needs lots of them. Preferably new IP although I wouldn't complain about Rare bringing back an old franchise or Remedy doing a new Alan Wake. jawafour wrote: I suspect that, as with the PS4 Pro, at first the additional power won't really be utilised to any great extent but over time the extra polish will become more apparent in games. I reckon a major patch at launch to boost most games and several MS games out now getting 4K, Forza Horizon 3 already has 4K textures etc for PC as does Gears 4. I only say this cos on the software side of things MS has really ramped up under Phil and they are Gonna try and show just how powerful Scorpio is. Photek understood! In this tweet Phil Spencer say there will be more 1P (1st party?) games than last year. Of course this could all be PR hype but there has to been game reveals for titles coming this year. I'm actually thinking there will be a Fable IV before Christmas! Does that mean that there will be more games that eventually get cancelled? Hopefully Ubisoft and Sony push forward their Monday conferences due to the freed up space and we won't have to stay up until 2am to watch the Sony one. Venom wrote: Photek understood! In this tweet Phil Spencer say there will be more 1P (1st party?) games than last year. Of course this could all be PR hype but there has to been game reveals for titles coming this year. Phil doesn't tend to PR stuff like that, personally I'll be astounded if there are more exclusives, it would make cancelling Scalebound understandable tho. I just hope they weren't just spouting nonsense when they said they had test units already up and running for developers so we can see games actually running on this at E3 and the developers have had more than a few weeks to cobble stuff together. Hopefully they can send out units to places like Digital Foundry before release so they can test it and give people half a chance to see if an upgrade is worthwhile as this isn't going to be cheap. Peter Crisp wrote: I just hope they weren't just spouting nonsense when they said they had test units already up and running for developers so we can see games actually running on this at E3 and the developers have had more than a few weeks to cobble stuff together. When has a console maker ever sent out a pre-released console to some journo's. They (like Sony/Nintendo) have to keep leaks to a minimum, they will no doubt pass on full specs to DF and others at E3 but other than that is asking a bit much. I'm expecting to be disappointed with this E3, I'll assume now that more exclusive games and new IP will be them counting up x amount on console and x amount on PC as "hey look, we promised lots of new games"
will also be disappointed if they use E3 to show off new Xbox as this will eat into games reveal time quite severely and mean not a lot of games to show. I'll be dissapointed if you're not dissapointed. So Fallout 4 VR on Scorpio?. Game is apparently playable from start to finish now.